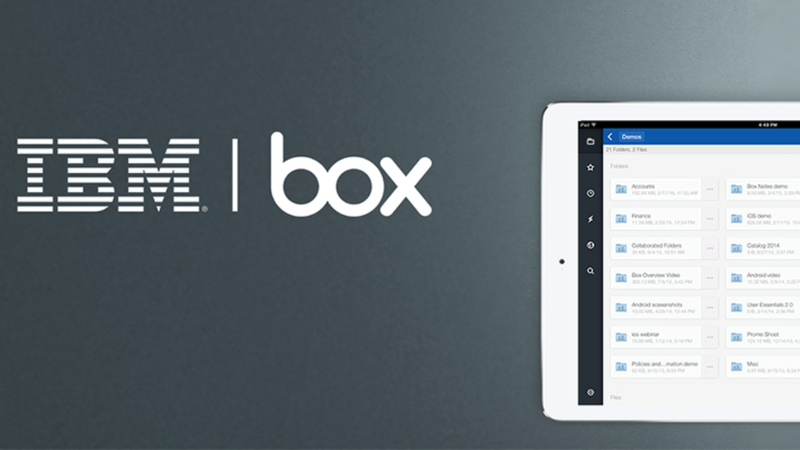 IBM and Box have formed a strategic partnership to help transform work in your organization, across all of your external partners and from anywhere across all of your mobile devices using the Box secure and easy-to-use content collaboration solution. In addition, with Box Relay create easy-to-build, easier-to-use, fully customizable content-centric workflows. Stop using insecure file sharing options and eliminate large e-mail attachments. Box features customized shared links with passwords, expiration dates and controlled download access options. Ensure secure collaboration with end-to-end encryption. A benefit to using Box is the ability for you to bring in external users (vendors, contractors, business partners, etc.) to collaborate with and work on content in a secure and efficient manner. Collaborate from anywhere and with any device and across all of your applications. Box allows users to scale their content solution as their company's needs grow with Box’s integrations across IBM solutions, as well as leading business applications. Box Relay allows users to develop custom workflows. Just add steps, actions and due dates. Or choose from a library of templates. Easily edit and optimize templates for continuous improvement.